1967 Cadillac De Ville convertible for sale - Classic car ad from CollectionCar.com. 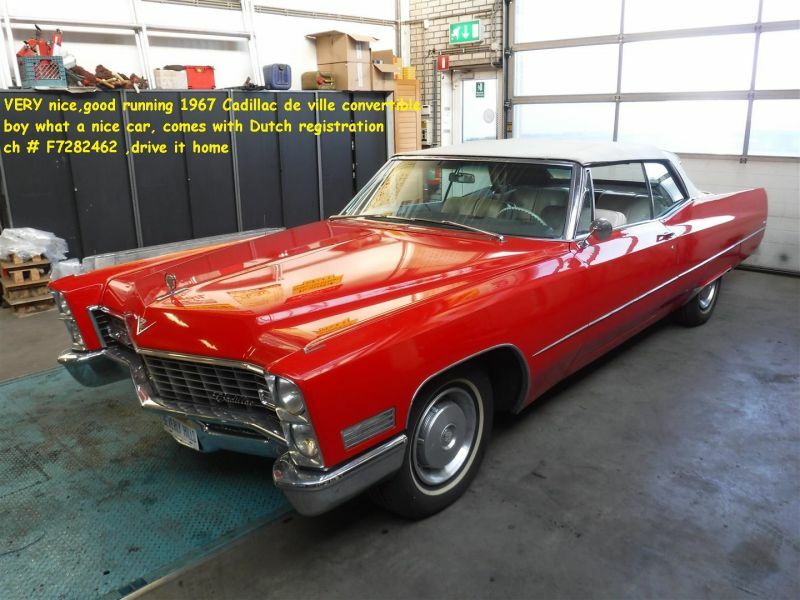 1967 Cadillac De Ville convertibleVery nice, perfectly running driving 1967 Cadillac convertible. What a nice car, perfect paint,comes with Dutch registration. Drive it home. Biggest choice in REAL Classic Cars in "the Stolze Collection" with more than 450 cars in stock ! From a project to perfect .